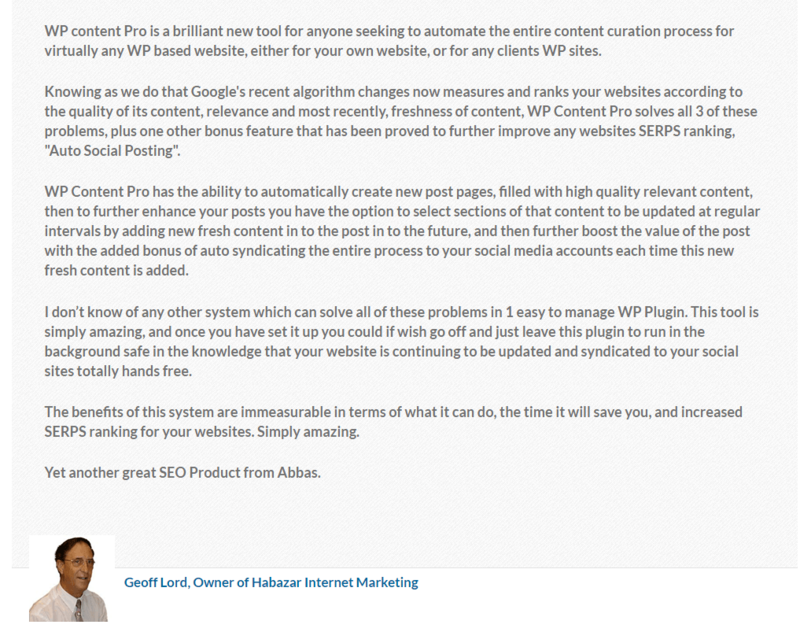 WP Content Curation Pro is new plugin by Abbas Ravji that automates everything from content discovery through to auto updating and refreshing posts to boost the Google freshness score and keep your blog updated on Autopilot. Now these tools have always been of huge interest to me but they typically cost monthly or come with a mid ticket price tag, so when Abbas connected with me to tell me about his new tool i knew that its going to be something really good and the price point is going to be affordable for people. In fact the cost of the plugin is just $17.00 for the front end offer and $27.00 for the up-sell which makes the tool even more awesome. 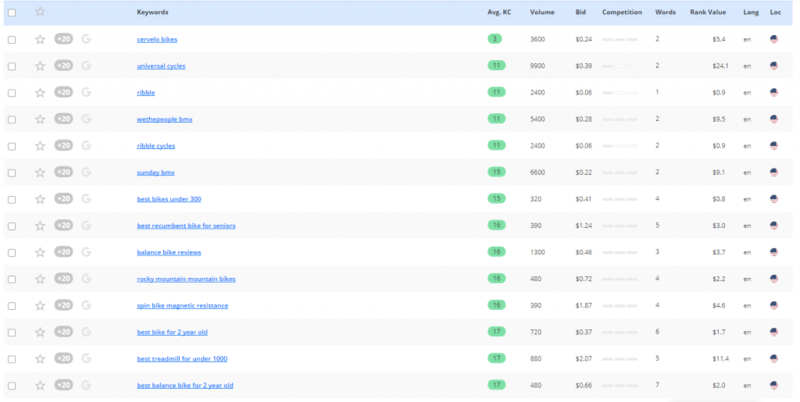 The most common question that’s on most peoples minds when they see tools like this is how to use them for rankings, traffic and making money. The key is to have a ready made strategy with a clear goal at every step. If you have been following my latest strategies over the past few weeks you will have noticed that i have been getting rankings on demand for just about every keyword that i have been targeting, this is part of the RankAttack SEO system that i created and the only thing about that system to hold people back is the content creation. 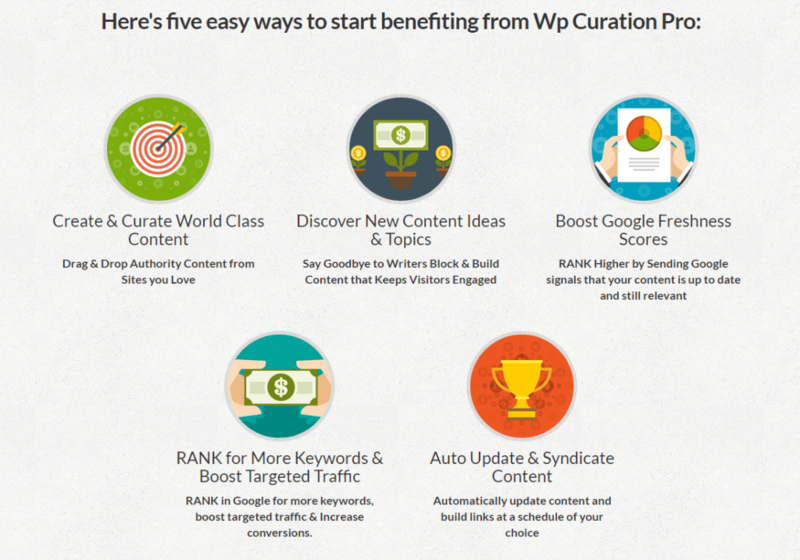 This is where Abbas new tool WP Content Curation Pro can help! The first option is the most common use these days i would imagine as many people don’t do the work to get rankings for traffic, and the problem with the second option is that often its a lot of work to rank in Google and there is confusion on how to do that. Now, what if we had a system that we could use again and again and expect to get results each and every time and with campaigns that took anywhere between 3 and 15 minutes tio achieve those results after we have created the content that is highly relevant and that we didnt have to write. That gives us options for doing things like curated posts around a topic or trending news for example and what if we added to this some simple but well constructed niche sites that are optimized well and monetized through adsense? Well this is something i have been looking at closely over the last few weeks and was planning to do an adsense version of my niche ripping course, and the great news is that i am going to give this as a bonus to anyone who buys WP Content Curation Pro front end offer and upsell. This is a great deal as i was planning to sell this at least at $197.00 once we had started getting traffic and monetizing the sites. You see the thing is that with adsense sites there is no need for selling, the main goal is to drive traffic and the more traffic that you can generate the more money you can make. This gives us a nice little system for content creation that can be done easily, an SEO system that works with very little time or effort needed and monetization that comes from traffic without having the need to sell on your sites. Whats missing at this point of course is keyword research. Well i have great news for you on that front too as i have been testing a simple method using Long Tail Pro aggressively to find great keywords in just one session that would make your eyes pop when you think of the possibilities as i have described with the system above. I have about 5 pages of these green keywords from that one session that run into hundreds of keywords with tens of thousands of search volume combined! Can you see the possibilities here…. Our system is looking more complete now huh? Not bad at all for less than $45.00 if buying the front and and the upsell! This tool is more than good enough to do the job for our Niche Ripping system for adsense and in the complete system we can knock out niche sites with content fast and get rankings and traffic. We will start on Sunday night with an overview webinar, and the rest of the videos will be done during the week to complete the course, i am deliberately keeping it simple and uncomplicated.